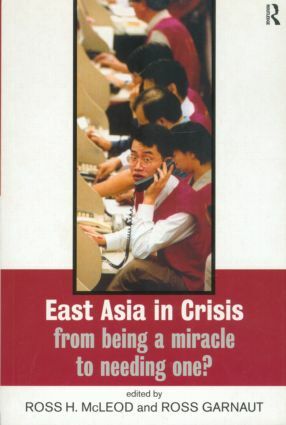 The current economic crisis in East Asia is unprecedented in world economic history. It seemed the economic strength of the region, until very recently, would just keep growing. Now, the macroeconomic achievements of Asia are under threat and the economies of North America and Europe are feeling the results. This book brings together the thoughts of leading experts on the Asian economy and provides a broad and thorough analysis of the situation. It provides case studies from fourteen countries in the region, how the crisis developed and affected them, and the response from governments. There are other non-country specific chapters with a strong theoretical content which address issues such as causation, how such a crisis should be handled, how it might be avoided in the future, and the likely implications for on-going deregulatory and other economic reforms. This is an important authoritative account of one of the most extraordinary economic events and provides a broad synthesis of case studies and theoretical approaches from a variety of researchers with an intimate knowledge of the region.